Hello everyone! Hope everyone enjoyed their weekend, because I sure did! 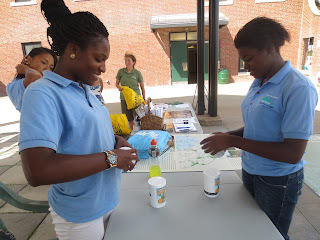 This past Saturday I went to another event at Carson Beach and collaborated with the Department of Conservation and Recreation to help educate youth and adults on water quality in the Greater Boston area. During the past twenty years, people made a huge effort to clean up Boston beaches in order to be able to swim, fish, and use the shoreline for recreational uses. 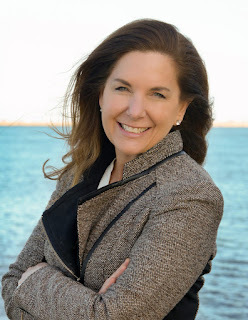 This really shocked me, because I always assumed that Boston beaches were contaminated with sewage and tons of chemicals. However, Boston beaches are very sanitary, and they're open to the public now! In addition, Carson Beach is very clean. 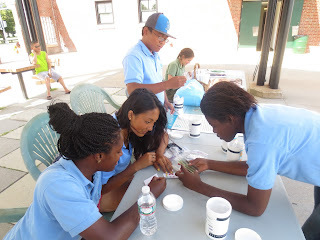 We also tested the pH balance of water on the beach, drinking water, and bottled water. 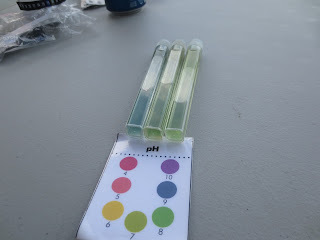 Testing the water out was really interesting, because the pH balance chart informed me on how much base or acidity was in the water we tested. 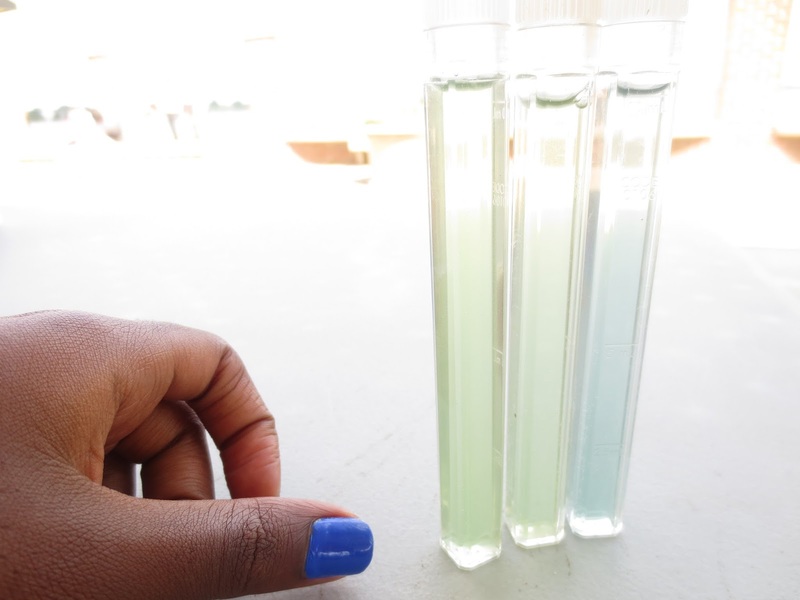 Also, I knew how to tell how acidic or base the water was by how the color of the water looked. The neutral pH balance for living sea creatures and animals should range from 6.5-8.5. Here take a look at our pictures. 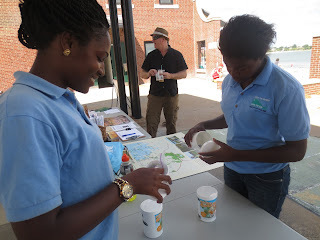 We tested the water at the beach, drinking fountain, and bottled water.